On January 1, 1964 Leon Longan, a local chef, had the honor of being the 1964 New Year’s Baby born at Shelton Hospital (which later became known as Mason General Hospital in 1968.) And now his grandson, Angus Ryan Connell has the similar distinction as the 2017 New Year’s Baby for Mason General Hospital & Family of Clinics. Angus was born at 4:10 p.m. on Sunday, January 1 to Amanda and Tommy Connell and joins two sisters, ages 8 and 3. He weighed 8 lbs. 12 oz. and was 20.5 inches long. 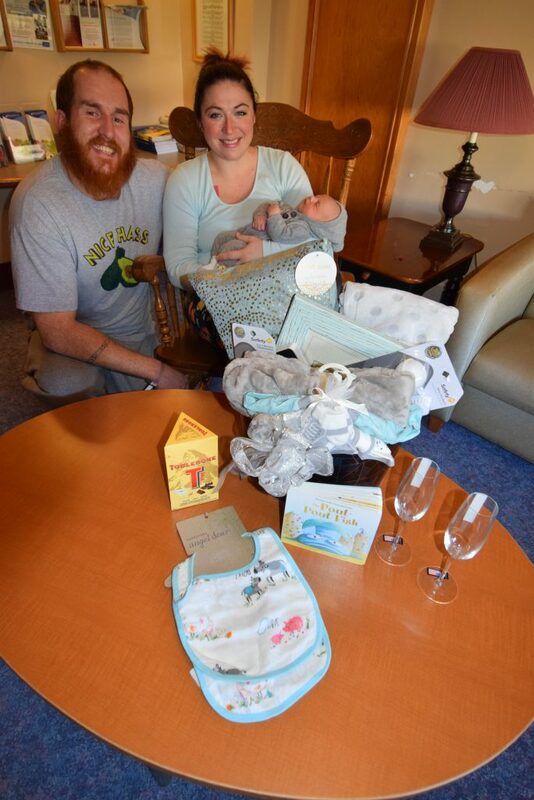 Before leaving The Birth Center at MGH&FC the staff presented the Connell family with a large basket filled with many gifts to help celebrate the birth.